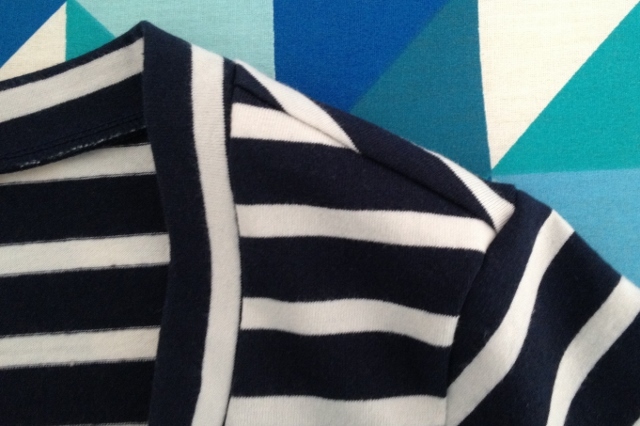 This entry was posted in Jersey, Renfrew, Sewaholic, Stripe Matching. Bookmark the permalink. Top looks great. 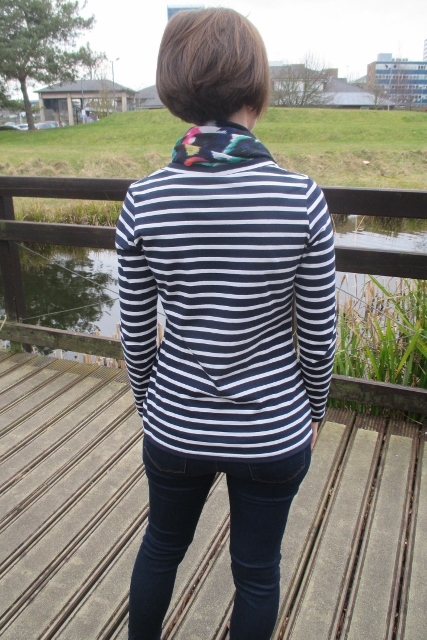 Well done with matching the stripes, I particularly like how you have managed to get the stripe in the neckband so even. I love stripes! Your top looks so good, and fits you perfectly. I love stripes too. Thanks for your comment! 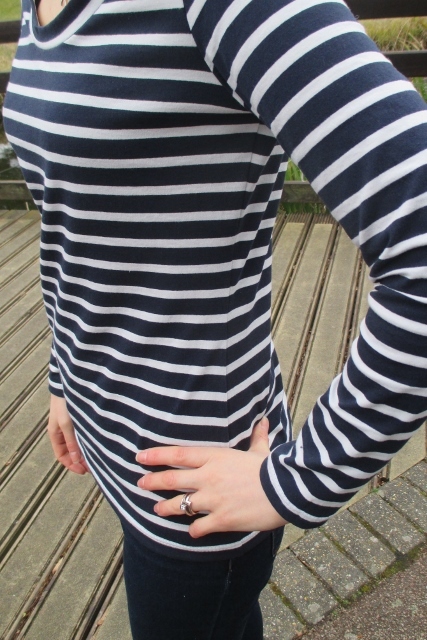 I am also planning a striped renfrew! I am frustrated as my machine is not playing ball on buttonholes. I had 2 jenna cardies planned and 2 shirt dresses. So I need to change plans until I can get it looked at. Oh no, hope you can get it fixed soon. Hi there! 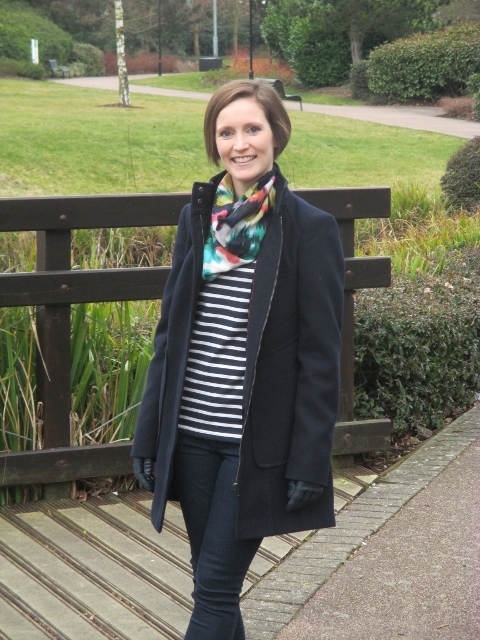 Thank you so much for linking to my version of the striped Renfrew! 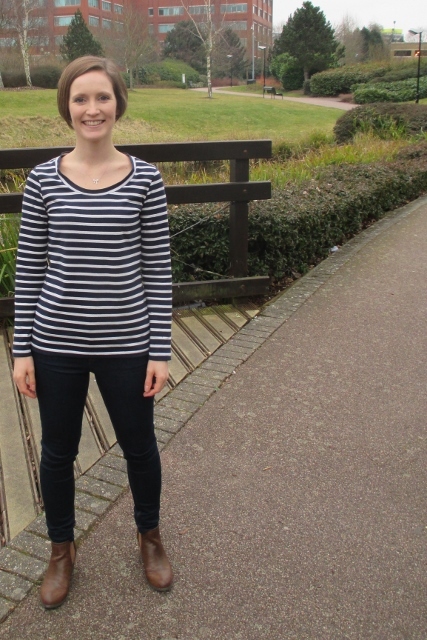 I love the dark navy on yours and it looks like you did great on your stripe matching! Wow! So professional looking. Adding it to my list. So many things to sew….